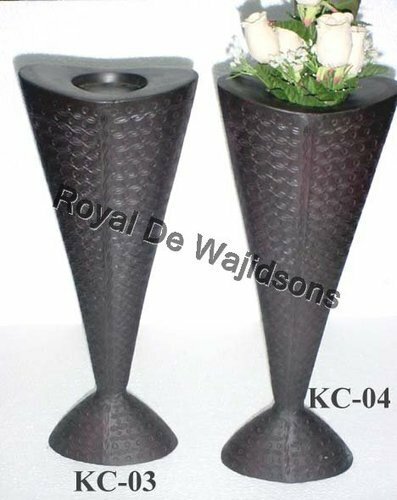 Prominent & Leading Manufacturer from Moradabad, we offer cast iron designer vase. Cast iron is a material that holds nostalgic value for many people. This material gives a feeling of Victorian ambience. The best thing about cast iron vases is that they are extremely strong and durable. It can easily withstand every weather condition. The cast iron vases bring uniqueness to gardens and houses. They are available in all sizes to suit your requirements. Looking for “Cast Iron Handicrafts”?